Assault Industries has designed and manufactured a quick release fire extinguisher mounting system for use on UTVâ€™s, Side X Sides, and Jeeps. 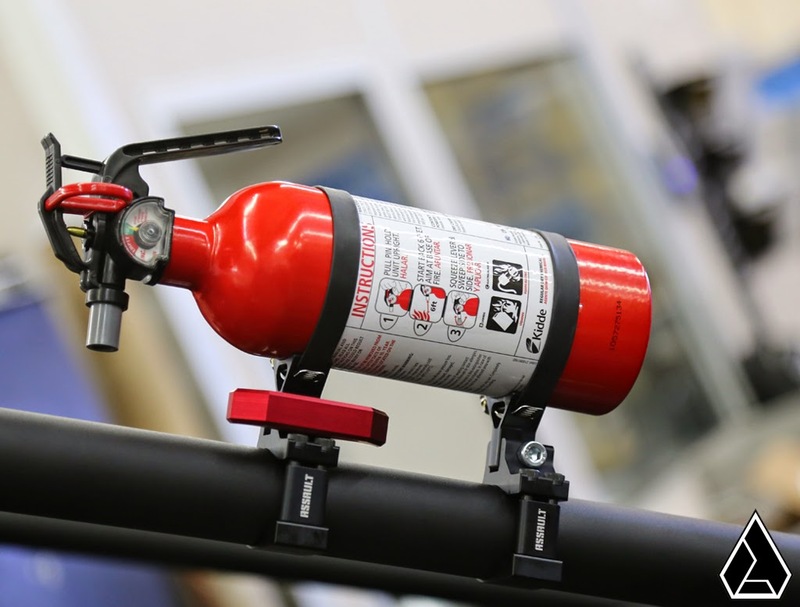 This durable, affordable and race proven quick release fire extinguisher mount is made out of 6061-T6 aluminum and then anodized back. When it comes to functionality, the single-pin design makes for quick and easy access.